"We have been happy users of Backoffice CMS since 2008. The system is self-explaining, userfriendly and of significant value to us for administration of our website and webshop. Backoffice has a wide variety of functionality. We feel our version is 100% adapted to our wishes and we received a good service during the specification and setup phases. We had a close dialog with the responsible for our system who gave us good and fast respons on all requests. We are very pleased with the functionality, service and follow-up after the installation of Backoffice." Webshop + mobile shop. All-in-one with responsive design. Targetted mini-sites. Hudspesialisten is a medical clinic specialised in skin-care. They offer a variety of advanced treatments such as advanced laser treatments, Coolscuplting (surgery-free fat removal), BOTOX anti-wrinkle treatments etc. Their webshop sells products that are scientifically tested and have documented effects. Some products can only be purchased after receiving a skin analysis at the clinic, signed by the doctor. 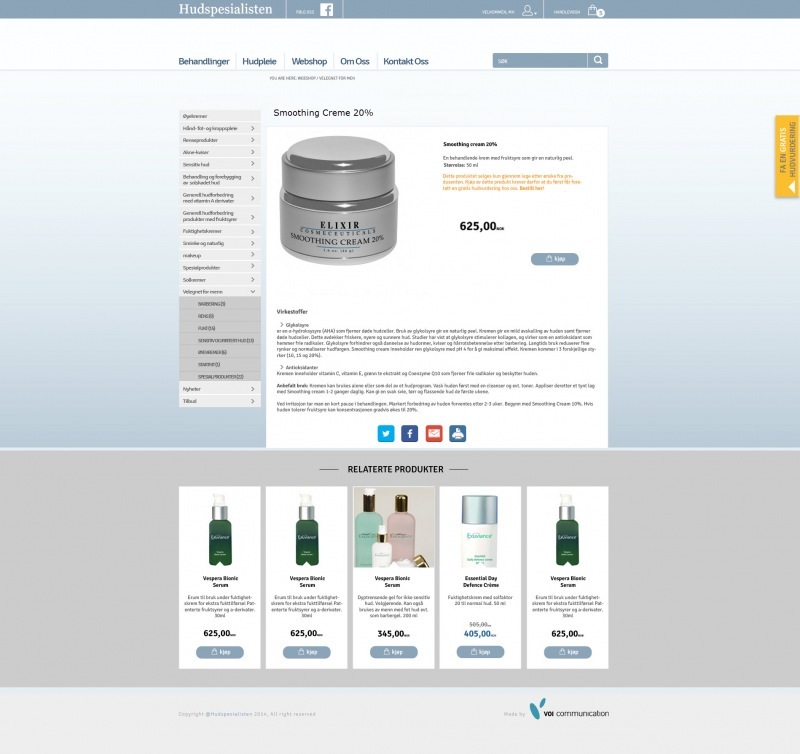 Technical platform (Backoffice) for website with integrated Webshop with partially 'protected' products (skin evaluation required). Content on mini-websites for specific services is controlled from the same admin interface. Mini-sites targetted towards specific problems/needs/customer segments.